The first time I read Bridge to Terabithia, I was hooked after reading just a couple of pages. I am not ashamed to admit that I cried when Leslie dies, and I grieved with Jess as he tries to come to terms with losing his friend. I found the story to be powerful, and I imagined that it would help people of all ages come to terms with their own grief after losing someone they loved. I think it would be a terrible shame if readers could not borrow this title from their school or local library because it was challenged and banned. Jess is determined that this year, his fifth grade year, he is going to be the fastest runner in his school. He has been practicing his running every morning all summer and he is sure that now he is ready, really ready. Alas for Jess, for on the first day of a school a new kid in his class wins the daily race. Worse still this new kid is his new neighbor and she is a girl who is called Leslie. Jess is both furious and mortified, and he wants nothing to do with Leslie and her strange ways. Over time however Jess comes to accept Leslie’s friendship and then to embrace it. She is such a fascinating and wonderful person, full of ideas and stories and always willing to share her wonderful imagination with him, Jesse Aarons. The two children build an imaginary world in the woods near their houses which they name Terabithia. Leslie is the queen of this world, and Jess is the king and they have to swing over a creek on a rope to get to it. For Jess, Terabithia and Leslie are the best parts of his life and he cannot imagine his world without them. Then, suddenly, Leslie is taken from him when the creek rope snaps and Leslie is killed in the fall. In the emptiness that follows her death, Jess cannot help feeling as if both he and Terabithia are going to wither without Leslie’s presence. With great sensitivity and understanding Katherine Patterson explores a lonely boy’s first true friendship and his overwhelming feelings of grief when his friend tragically dies. Patterson is neither maudlin nor overly sentimental. Instead she looks at the ways in which a friendship can form. She also shows her young readers that grief is not some easy to package emotion that can be set aside once the prescribed time is up. Instead grieving is a complicated, messy and confusing process that has no rules or guidelines. One just has to muddle through as best one can. Perhaps the best past of this book is that Patterson has made Jess realistically imperfect and easy to identify with as he struggles through life. This book won the 1978 Newbery Medal. You can see a listing of the books challenged or banned in 2009-2010 here on the ALA website. 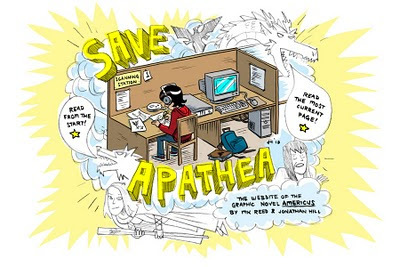 In honor of Banned Books Week I want to tell you about a great graphic novel that you can read online. The story explores the idea of banning books in a clever and meaningful way. Americus is about Neil Barton, a teenager growing up in Oklahoma, and his fight to keep his favorite fantasy series, The Chronicles of Apathea Ravenchilde, in his public library. It’s written by MK Reed and drawn by Jonathan Hill, and will be published by First Second in the fall of 2011. The first chapter of Americus was published in Papercutter #7 in 2008, and was nominated for the Outstanding Short Story Ignatz. You can read the story online on the saveapathea.com website. Banned Book Week is a week where people talk about why banning books is not good as much as possible so that everyone realizes that they shouldn’t do it! Want to celebrate? Here are five things you can do. 1) Talk about it! Communication makes the world go ‘round; and when teachers, librarians, and parents know there are people in their communities who are willing to stand up for the freedom to read, that makes them all the more likely to go to bat for what they believe in. 2) Go to a party, a reading, or a discussion! I’m envious of everyone in Chicago who has the opportunity to go to the Official ALA Banned Books Kick-Off because it sounds amazing; there’s a complete list of everything that’s happening around the US here. 3) Say it with style. I don’t know anyone who doesn’t receive compliments on their Banned Books Bracelet, probably because they are adorable. Who doesn’t enjoy protesting/awareness-raising and looking good doing it? 4) Write a letter. Check out Amnesty International’s efforts to help people around the world being persecuted for things they “produce, circulate, or read.” They’ve got six case studies up on their website now; your postcard or letter could really help one of these people. 5) READ. Seriously, folks. It’s the very best way to celebrate Banned Book Week. Here’s the list of the most commonly banned or challenged books in the US: it’s a great place to start. And who doesn’t love an excuse to reread Flowers for Algernon, James and the Giant Peach, and As I Lay Dying? This is a cause that we all at First Second really believe in; thanks for taking the time to listen to us talk about it! 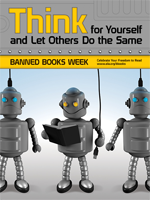 Banned Books Week - What you can do! If you want to mark Banned Books Week in your school or community and need some event ideas, here are a few from the Banned Books Week website. ● ‘Make your own banned book’ activity: Local libraries, schools and bookstores could provide both the crafts and space for a day/weekend in order for local community members, including children and youth to create their own ‘banned books’; libraries, schools and booksellers could offer prizes for participation. ● Ask customers and community members to sign a support poster provided by ABFFE; display the poster throughout the year to encourage dialogue and interest in banned books and wider free speech issues. ● Capture individuals exercising their right to read banned books on film: Create a Polaroid picture wall of students, patrons and customers who read banned books at your local school, library or bookstore; ask patrons to write their thoughts and feelings about banned books on the white part of the Polaroid. ● Display list of banned books at register; start with the Kids' Right to Read Project Report and build from there as interest grows. ● Organize a discussion forum on book banning—particularly if there are any local cases of book bans or challenges; focus on local youth using a Harry Potter or Twilight-themed discussion for instance starting with questions like why do you think this book was banned? Why do people ban books? Why do you like this book? ● Organize contests to win 'freadom' buttons or bracelets; Check out 'banned book trivia' here. ● Write to your local paper; draft op-eds and letters to the editor. ● Screen related movies including ‘Jailed for Their Words’ and others. ● Invite authors of banned books for signings and Q&A at your local library or bookstore. * Contact The American Booksellers Foundation for Free Expression (ABFFE). * Contact The American Library Association (ALA). * Use the Book Censorship Toolkit, which includes tips for responding to challenges from the National Coalition Against Censorship. * The Kids' Right to Read Project (KRRP), a collaboration of ABFFE and the NCAC, responds to book challenges and bans in schools and libraries. * KRRP has confronted challenges to over 250 titles in 28 states. * The American Library Association provides lists of the most frequently challenged books. * ABFFE's Banned Books Week Handbook contains lists of frequently challenged titles. Click here to download a Simon & Schuster poster featuring Ellen Hopkins' "Manifesto"
* Check out GOOD Magazine's interactive display of 2009's most targeted books, complete with color-coded arrows indicating the reasons cited for book's censorship. 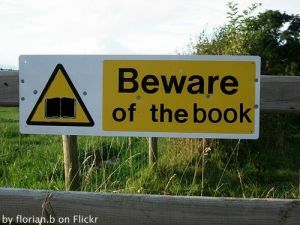 * The American Library Association Office for Intellectual Freedom, Banned Books Week Resources. * The American Library Association Office for Intellectual Freedom, Library Bill of Rights. * The National Coalition Against Censorship, "The First Amendment in Schools: Resource Guide"
* The National Council of Teachers of English, "The Student's Right to Read." * PEN American Center, Freedom to Write. * Purchase Banned Books Week products from the American Library Association. * ABFFE has designed an attractive donation box for Banned Books Week that will make this easy. The compact boxes, which are 6" long by 4" wide by 3" deep, use very little counter space and provide another way for booksellers to demonstrate their commitment to free speech. To order the free donation boxes from ABFFE, emailinfo@abffe.com. Banned Books Week is sponsored by the American Booksellers Association;American Booksellers Foundation for Free Expression; the American Library Association; American Society of Journalists and Authors; Association of American Publishers; and the National Association of College Stores. It is endorsed by the Center for the Book in the Library of Congress. For more information on getting involved with Banned Books Week: Celebrating the Freedom to Read, please see Calendar of Events and Ideas and Resources. You can also visit the Banned Books Week website. A blog book tour event with Art Slade, the author of The Hunchback Assignments Series with a Giveaway! Behold! I am about to do the impossible! I will define steampunk (as far as literature is concerned, that is). It will not be the Oxfordian definition. Nor will it be the Urban Dictionary definition. My definition is this: steampunk is science fiction that is inspired by the Victorian age. Oh, wait, does that cover it? Hmmm. Maybe I should add something about clockwork and steam. Okay, here it is: steampunk literature is steamy science fiction that is inspired by the Victorian age and often contains clockwork and cockneyisms. Ah, that still doesn’t cover it. Zounds and snap to! It may be beyond definition. 3) The Strange Case of Dr. Jekyll and Mr. Hyde by Robert Louis Stevenson This novel is the one I blame for 1/3rd of all the mad doctors in steampunk. 5) Sherlock Holmes: The Mechanical Hounds of the Baskervilles by Arthur Conan Doyle Really, Sherlock should have been investigating steampunk crimes. And if Watson had mechanical wings Sherlock would never have fallen from Reichenbach Falls. 6) Frankenstein by Mary Shelley The blame for the final 1/3rd of the mad “steampunk” doctors is directly laid at Mary Shelley’s dainty feet. Yet another mad doctor who somehow animates the dead. 7) Dracula by Bram Stoker Though more supernatural than scientific, the mood of this novel has influenced our modern-day moody steampunk novels. 8) Pride and Prejudice and Razor Billed Peacocks by Jane Austen. If this was the title, boys would finally read these books. 9) Around the World in 80 Days by Jules Verne Good ol’ JV needs his due as the grandfather of Steampunk. Could add Journey to the Center of the Earth and From the Earth to the Moon too. 10) Alice’s Adventures in Wonderland Forget the talking animals. Actually forget Alice, too. It’s really Jabberwocky that is the first steam powered monster: “And, as in uffish thought he stood,/The Jabberwock, with eyes of flame,/Came whiffling through the tulgey wood,/And burbled as it came!” Burbling? Flame? Whiffling? That’s so steampunk! The Hunchback Assignments is definitely a series that will suit young adults. Another series that would suit this age range are the Cecilia and Kate series. Younger readers in the 9 to 12 age range might like to have their own literary steampunk experience. The Larklight Trilogy by Philip Reeve is a delightful series that I found quite enthralling, and highly amusing as well. Also, here is a Barnes and Nobles list of steampunk titles. The publisher has very kindly given us several copies of the two books in this series to GIVE AWAY! Please send me an email if you would like a set of the books. Please visit the other stops on this blog book tour. As it is Friday, and I like to post reviews of poetry on Friday, I asked the folks at Godine if they had a book of poems that I could review for this blog event. They do, and here is my review of Absolutely Wild. Thank you Daniel Pritchard and David Godine for helping me to put this blog event together. It has been a pleasure! Today I would like to share a review of a wonderful book that was published by David Godine Inc. a few years ago. This is the prefect title for all you people out there who have a fondness for cats. Many of us share our lives with cats. They are our friends and our family members. They live in our homes, and yet sometimes we find ourselves wondering: what are cats really like? Well, it all depends. Some cats are “fat / round as a jar” while others are lean and lithe. They are creatures that love to lie in a puddle of sunshine “swimming” in its warmth. They will sit all day watching a goldfish swim around its bowl. They will disappear in a moment “in summer grass,” and haunt the dump looking for scraps. They are elusive, mercurial, and then, quite out the blue that will curl up in a lap for a nap, a bowl of warm fur and purrs. One never knows what to expect with a cat. This wonderful picture book with its clever rhymes, its brilliant imagery, and its gorgeous illustrations will delight cat lovers of all ages. Throughout the book the rhyming text and Wendell Minor’s artwork perfectly captures the elusive nature of cats. For this third day in the David Godine blog event I have an interview with David Godine, the founder of this unique publishing house. Marya: How did you get into publishing in the first place? 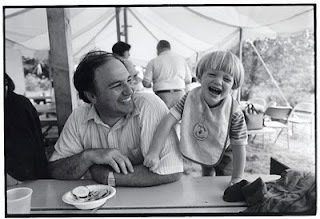 David: We began, forty years ago, as printers in an abandoned cow barn on the last farm in Boston. So our background has always been, to some degree, in printing and graphic design. I think this is why we take so much care with how the books look and how they are printed, because that is embedded deep in our history. We really switched full time to publishing ca. 1975. Marya: Your credo is to publish a few books of substance rather than large lists of books that are of varying value. Is this something that you consciously planned, or did it just naturally evolve? 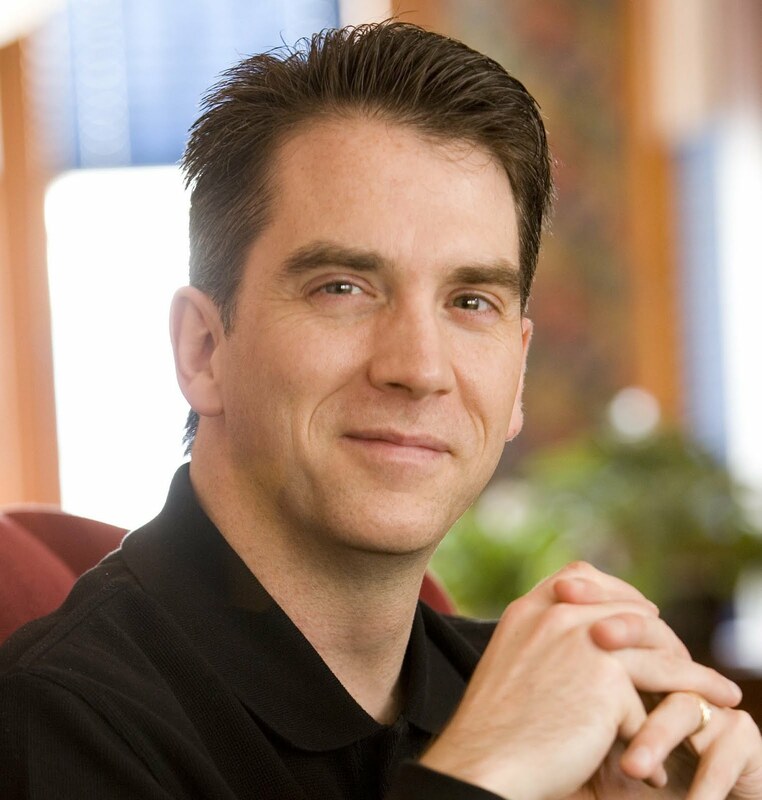 David: I think I realized from early on that I was simply not capable, as an executive, of either leading or building a large organization, so the size of the list is as much s result of my own personality as a deliberate business decision. But it has certainly served us well: I think if we had grown into a much larger organization with greater ambitions, and by publishing more books every year, we would probably be extinct by now. In many senses, our size has saved us. It allows us to publish what we really like and do our crying in private and it also helps preserve a certain sense of "personality" in a business that has really seen the demise of the publisher as an individual or of a house with a distinctive and identifiable personality. Marya: The publishing world today is so different from the one that existed forty years ago, which is when your company began. What do you think is the biggest change that has taken place? David: I'd say two big changes; first the arrival , and recent perfection of "on demand publishing, which allows publishers to keep books in print while doing relatively small print runs and maintaining the same, or close to the same, production quality, The second is the number of titles published every year, which has grown from ca. 40,000 new titles when I began in 1970 to over 250,000 new titles in 2009. And this doesn't even include the books that were privately published and printed, which now exceeds those that are commercially issued. Marya: Many people think that e-books are going to replace print books. I think there are too many people out there who love the feel and smell of paper, and who like to hold a book in their hands. What are your thoughts? David: My thoughts are that there is not gong to be single soul out there ten years from now who either owns, or will remember how to operate, a Kindle, but that we get very few phone calls with queries on how to operate the book. It's been around this long because it is a product that is perfectly suited to its use and to the user's needs. We get these scares every decade, and every decade the number of books published and the circumference of exposure continues to grow. Marya: The books in your children’s book list are very eclectic and unique. What do you look for in a manuscript? David: Something that says something originals, and hopefully that says it in an original, and literate, way. I look for a "voice,” something that is unique to the author and recognizable. I look for books that I want to reread, as opposed to just reading once. I always think the text is more important than the illustrations. The latter can sell up to 3000 copies, but the text is what carries the book, and stays with the reader. Marya: Why are so many of the books in your children’s selection reprints of old books? David: Well, think about it. Who buys these books? For the most part not children, but parents and grandparents. 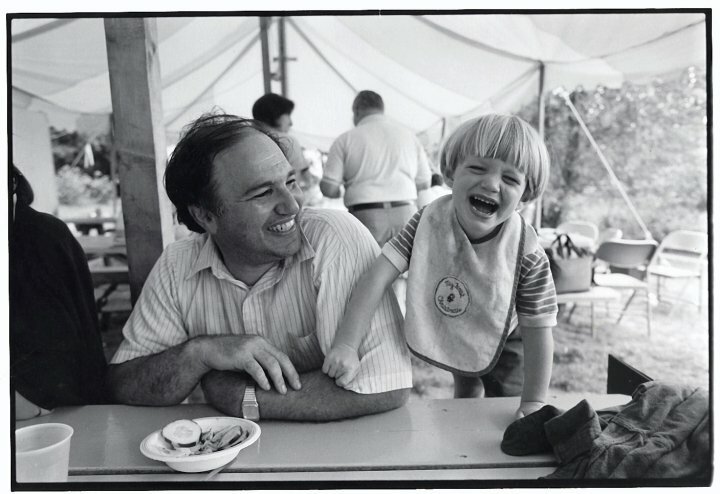 And they tend to buy, more often than not, books and authors who they remember fondly from their own childhood. And every list needs a certainly number of both authors and titles that are instantly recognizable to a buyer, that makes him or her feel comfortable with a list. Ours is certainly not the only edition of "The Secret Garden" on the market, but it is probably the best and certainly the only "full text" edition available. But we'd sell it even if it weren't. Because people recognize it, and probably have read it. Marya: Which of all the children’s books that you have published is your favorite and why? David: I have lots. That's like asking for your favorite children, but one of my all time favorites, still in print, is Dylan Thomas's "A Child's Christmas in Wales" illustrated by one of my favorite artists, Edward Ardizzone. I bought it for our very first children’s list, at Frankfurt. No one else wanted it as the Dent edition was so badly printed and it just looked anemic on the uncoated paper. We redid the calligraphy, reset the book, and printed it on a dull coated paper and it's still going strong three decades later. Marya: Are you planning anything special for Godine’s 40th birthday? David: Yes, both a silkscreen poster (see the front cover of our Fall catalogue for the image, and that is me standing in front of our original type cases) as well as a forty year history of the firm with a fairly wide ranging selection of the more important and/ or interesting titles we have published. Thank you so much David and congratulations on Godine's 40th anniversary. 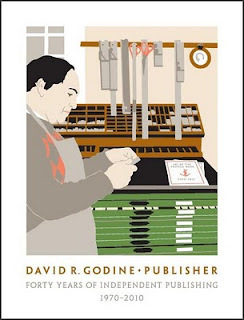 For this second day in the David Godine blog event I have a review of The Lonely Phone booth , a delightful picture book that reminds us that sometimes it is important to hold on to things that appear to be out of date and useless. After all, you never know what might happen. On the corner of West End Avenue and 100th Street in New York City, there is a phone booth. The phone both is happy because it is well used by people of all kinds. 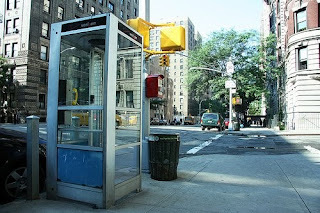 When the cellist leaves her cello in a taxicab, she uses the phone booth to find out where her instrument is. When the ballerina wants to find out if she got the part for Swan Lake, she uses the phone booth to make her important call. There is even a secret agent who goes into the phone booth to change his disguises. The phone booth is needed and he is cared for. What more could a phone booth want? The something truly terrible happens. The cellist, the ballerina and all the other people who use the phone booth stop using it because…prepare yourself for this…they all get cell phones! The poor phone booth is neglected, and he starts to look shabby and dirty. As he watches other phone booths being carted away, he knows that he is running out of time. This delightfully unique picture book will not only entertain readers of all ages, but it was also serve as a reminder that there are some things that should not be replaced by new technology. There are some things that belong in our communities and that deserve to be saved and used. Peter Ackerman’s winning text is wonderfully complimented by Max Dalton’s retro style artwork. The art not only tells a splendid story in and of itself, but it also celebrates the colorful and diverse people who live in New York City. David Godine has very kindly given me two copies of this book to giveaway. Please drop me an email if you want to be in the drawing. This week I am going to be focusing on David Godine Inc, a publishing house that I have a particular interest in. Godine is turning 40 years old this year, and I asked David Godine to tell us a little about the house and how it came into being. Here is his response. How right he was. On that first trip, I saw the Dent edition of Dylan Thomas’s A Child’s Christmas in Wales illustrated by Edward Ardizonne and also, from a German publisher, a superb version of Peter and the Wolf. Both titles were subsequently selected as among the ten best children’s books of that year by the New York Timesand we thought, “This is easy! Just pick out a few good books, etc.” It wasn’t true, of course, since publishing children’s books is not that easy, but over the years we have managed to attract some real talent and to publish their books with care and attention. The first titles by Mary Azarian, Barbara McClintock, and Kevin Hawkes were all issued by this company, and we have a strong list of important reprints that seem to have struck a real chord among readers. 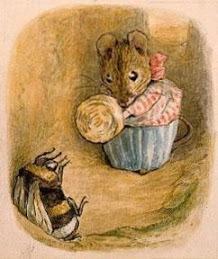 Most surprising among these have been the books written and illustrated by Daniel Beard (and one also by his sisters) in the late nineteenth century: the American Boy’s and American Girls Handy Book series, which have combined to sell over a million copies. I am also proud of the classics we have rescued, most of them entirely reset and many of them newly illustrated. A short list would include William Steig’s classicRotten Island (the only example of Steig printed in Day-Glo colors), the only “complete text” edition of The Secret Garden, illustrated by Graham Rust, and, more recently, the immortal Captain Najork titles by Russell Hoban, illustrated by Quentin Blake, as well as Noel Langley’s The Land of Green Ginger (also illustrated by Ardizonne), and Elizabeth Goudge’s I Saw Three Ships. We have also actively bought softcover reprint rights to titles from the beloved Wendell Minor (Shaker Hearts andCat What is That?) and two New England classics by Donald Hall (Lucy’s Summer andLucy’s Christmas), which were illustrated by Michael McCurdy. Several authors have been with us for quite a while now. We have five titles in print by the author / illustrator Glenna Lang, including her recent young adult biography of Jane Jacobs, Genius of Common Sense (in collaboration with Marjory Wunsch), and three titles by the illustrator Ilse Plume. And we continue to actively solicit and publish “first books” by unknown authors and illustrators. I would cite last year’sAbsolutely Wild, with linoleum cuts by Kim Cunningham, The Goat-Faced Girl, with gouache paintings by Jane Marinsky, and The Lonely Phone Booth, with its mid-century modern illustrations by Max Dalton, as three recent outstanding examples. The program has never been large in terms of titles issued, but most have been kept in print and many have found their way into the homes and hearts of what is now an entire generation. Children’s titles are the one genre where creativity in design, writing, illustration, and production are apt to intersect. They are now, and will always remain, an area of vital interest to everyone working here."